It isn’t so much here we go again as ..... here we still are .... with regard to migrants and gypsies and other euro trash but made worse by the flood of migrants from the turd world. And they are getting more aggressive in France trying hijack trucks and cross into the UK. There are credible reports of the stabbing and beating up of truck drivers as the migrant scum try to avoid detention and get into the rest of Europe and the UK. Meanwhile ... we are told there will be a referendum on, in or out of the EU in another year, and I have been interested by what I’ve been reading and hearing. There are ways to put that to a vote I hear, where the stay in the EU crowd will want to word things so yes mean to stay in, not get out. This island I believe is in for rougher time I fear. The govt. has refused the EU demand that Britain take in ever more poor and tired and hungry, which includes those with cell phones. I heard an interview on the radio this week, with one of the boat ppl pulled out of the water bur not allowed to travel freely. Yet. His English tho accented was pretty good, and most interesting given that he kept referring to his, human rights. 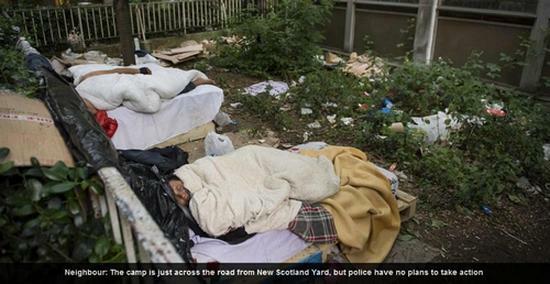 This photo is just a part of a London scene, in a park just yards away from Scotland Yard. No surprise, they are from Romania including a family of 12.
over comments and speeches by anti EU citizens and lawmakers here. David Cameron’s mission to get powers back from ‎Europe is driven by ‘hatred’ and ‘lies’, the president of the European Parliament said last night. Hours after meeting the Prime Minister, Martin Schulz said British politicians are feeding on ‘national resentment’ and the ‘scapegoating’ of Romanians and Bulgarians. Let’s play that back one more time, shall we. Ah ,,, revisit the first photo above. Or are they homeless Brits? Hmmm ... don’t think so. Whoever they are, lets not scapegoat them. 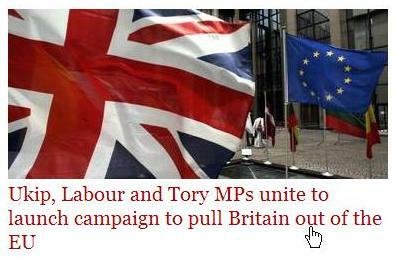 I think that says volumes about the EU and where they want Europe and the UK to be. None of it sounds good. 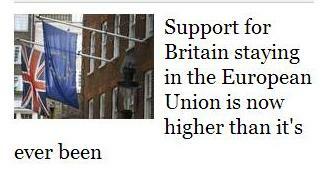 The prime minister‎ has made restricting EU migrants’ access to British welfare payments a key part of that effort. But his plan received a significant setback last night when Mr Schulz said: ‘There are attempts by people in Europe and also in this country to create new barriers between countries. The German socialist added: ‘Outright lies are told. ‎He poured cold water on Mr Cameron’s plans for renegotiation, saying changes in the relationship between Britain and the EU were not ‘possible’. Mr Schulz said Britain ‘belongs’ to the EU and said there was no prospect of treaty change to rule out ‘ever closer union’ because of near-unanimous opposition in European capitals.